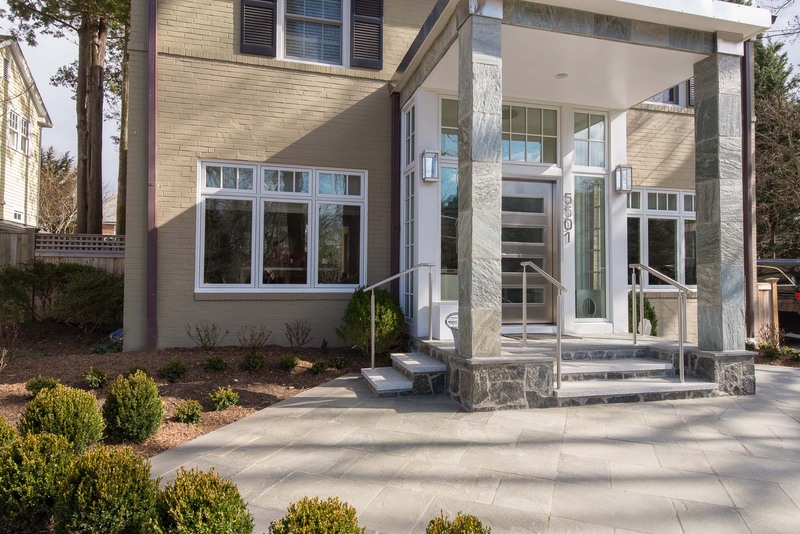 The owners renovated the interior of this traditional brick colonial home in a suburb of Washington DC to create a very contemporary space. 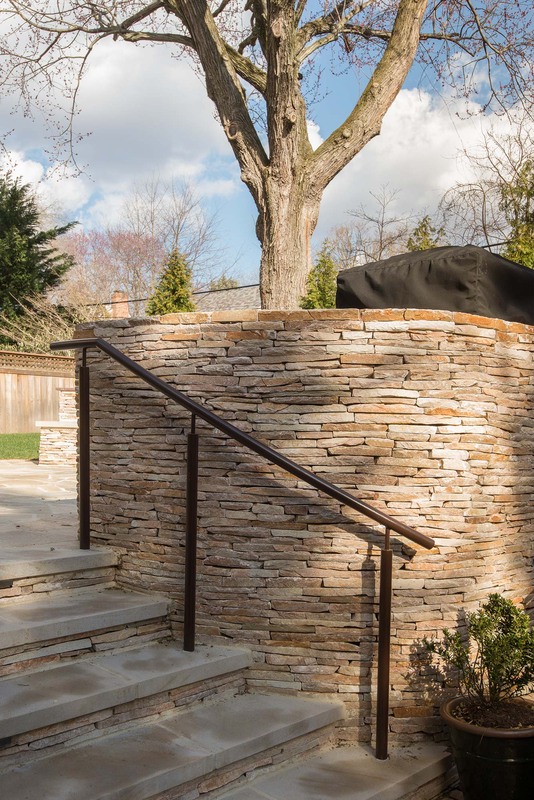 They wanted the exterior spaces of the house to reflect their modern sensibilities. 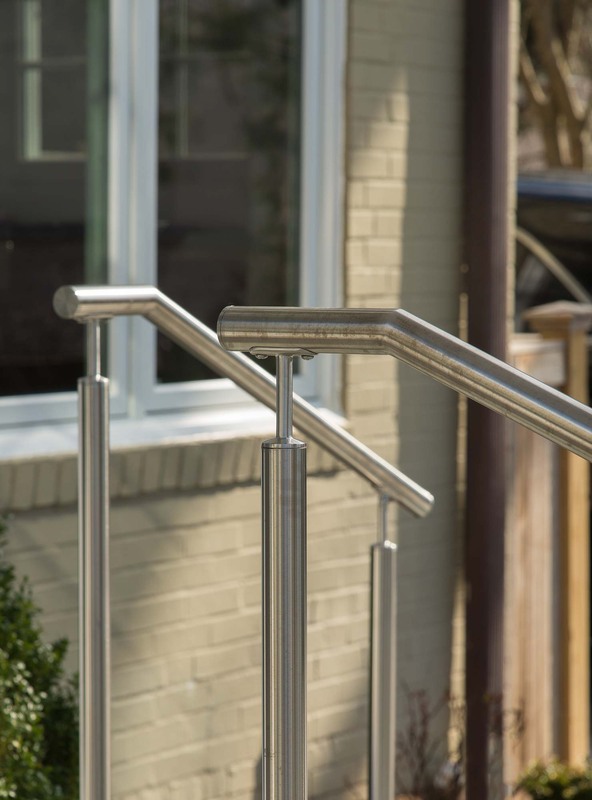 In the front, we used steel columns and railings for a clean, minimalist look. 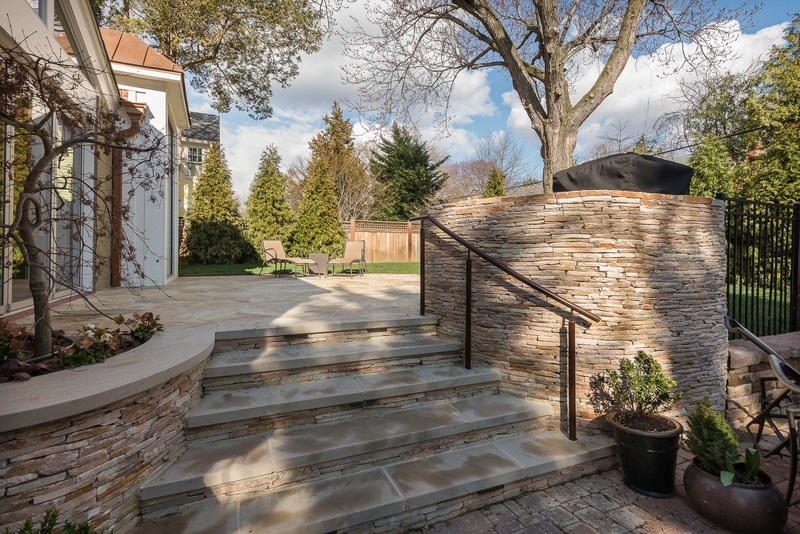 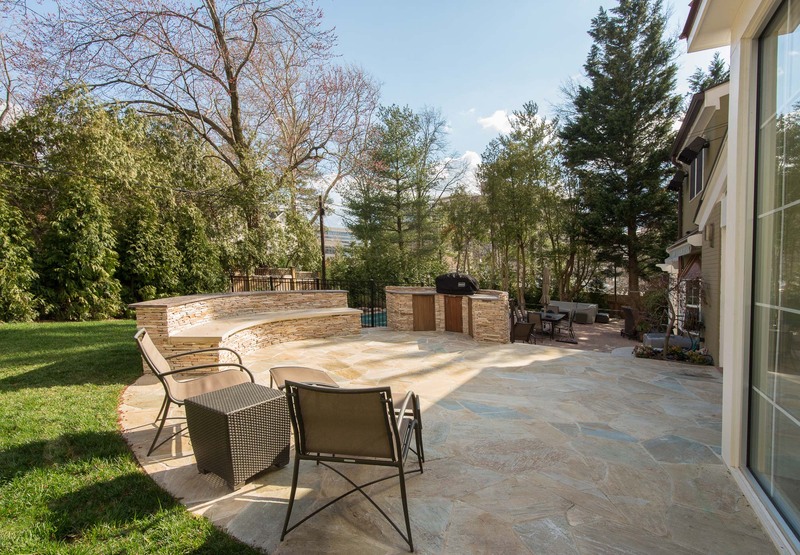 In the back yard, an outdoor kitchen area including a grill and serving areas was constructed of Copper Bay dry stack veneer stone, while custom steel railings on the steps up to the patio echo those in the front yard.